Trinity Catholic High School provides students the opportunity to deepen their relationship with God, to excel academically and to commit to a life of service to others. Make a gift today to change the life of a Celtic. Generations of Generosity, 4-30-18, give back to Trinity Catholic. Make your impact on a student today. Nurturing great hearts and minds to glorify God. Give to the Celtic Fund today. 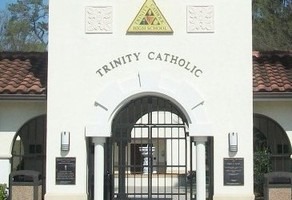 Make an impact at Trinity Catholic High School! Connect with other Celtics on GiveCampus!